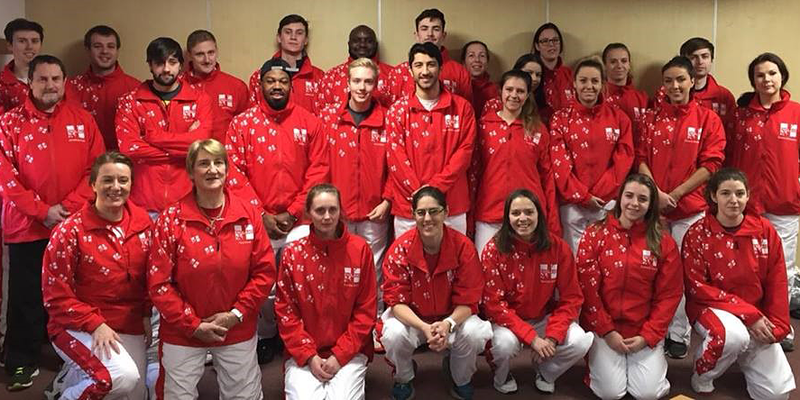 The England Fencing tracksuit is an exclusive design and is manufactured to specifications that particularly suit fencers. 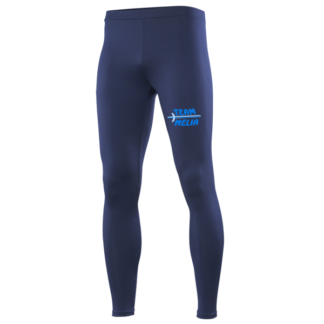 Long leg zips, straight leg pants without elastic or Velcro, fully adjustable sleeve cuffs and a lining that does not catch on fencing kit. 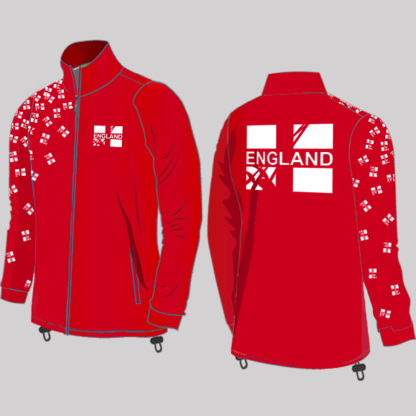 Practical, and also designed to look impressive on the podium! 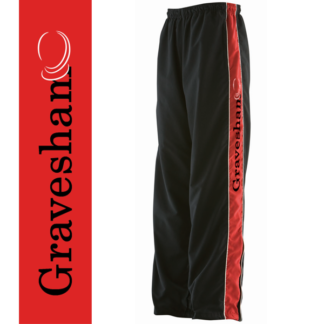 Tracktop and pants can be ordered separately – choose the appropriate options in each box below. PLEASE measure carefully. 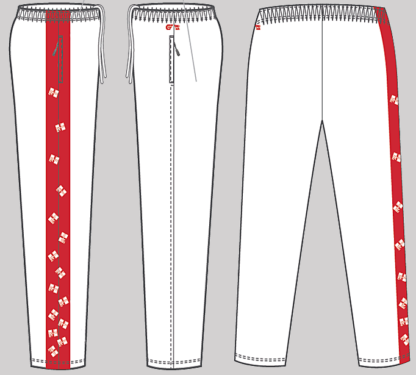 The tracksuit is designed to fit easily over your fencing kit, with non-catch lining and long leg zips, and sizing is quite generous. Check the garment measurement charts (in images) and, if in doubt compare the measurements to a garment that fits you. 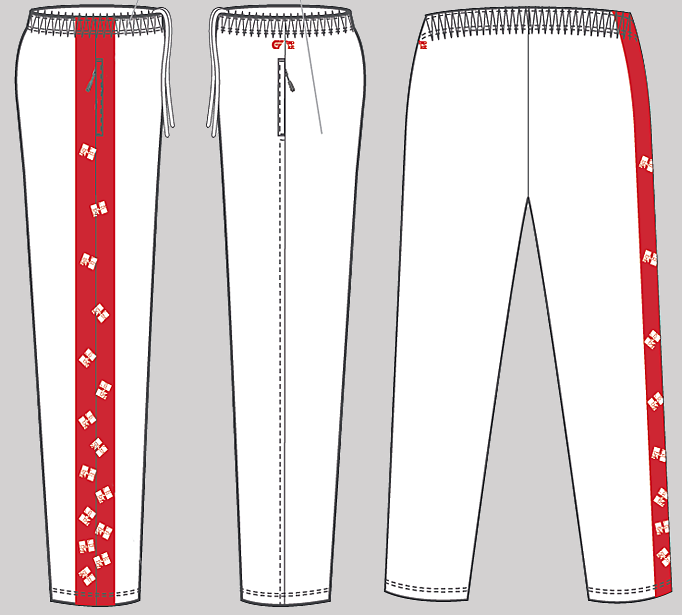 Note that the pants have a significant difference between the relaxed waist measurement and the stretched waist measurement. There are T-shirts, hoodies and zoodies also available. 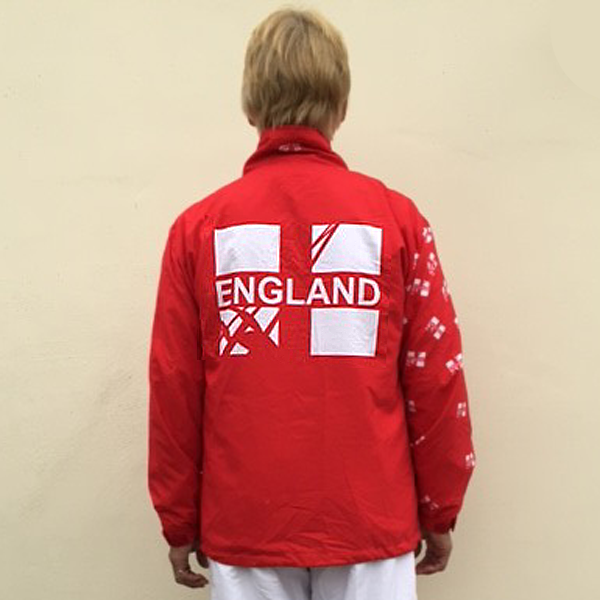 Check out the expanding range of England Fencing kit. Please note: Tracksuit orders are batched as manufacture of individual, bespoke garments such as this tracksuit is quite different to printing on a garment already assembled. 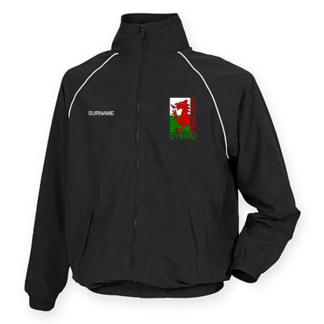 There is a minimum of 10 tracksuit tops or 10 tracksuit pants required by the manufacturer, so we will inform you in the case of an individual order of when you may expect delivery. Please contact us if you would like to make an enquiry.